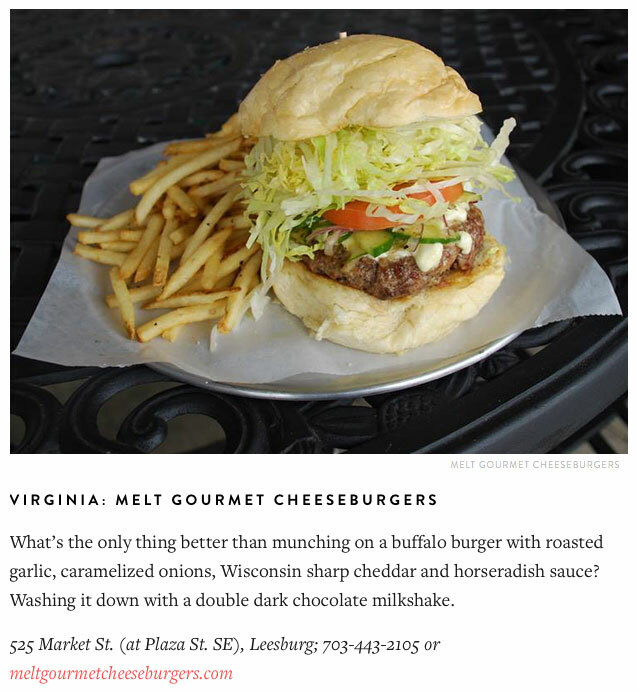 MSN Lifestyle and PureWow have listed the 50 Best Burgers for each state in America, placing MELT Gourmet Cheeseburgers as the #1 pick for Virginia! 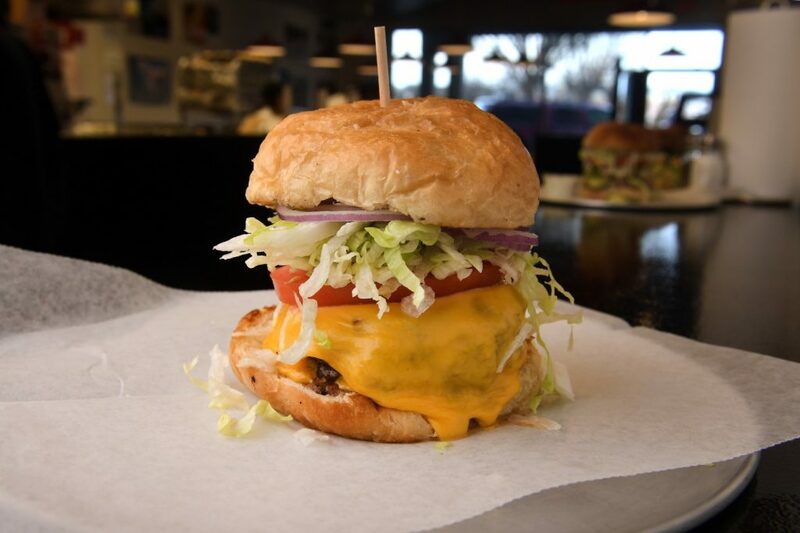 Outdoorsy.com has announced its list of “The Best Burgers in Every State” and Melt made the list for Virginia’s most delicious burger! 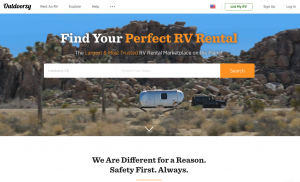 See the full list of state by state winners here. 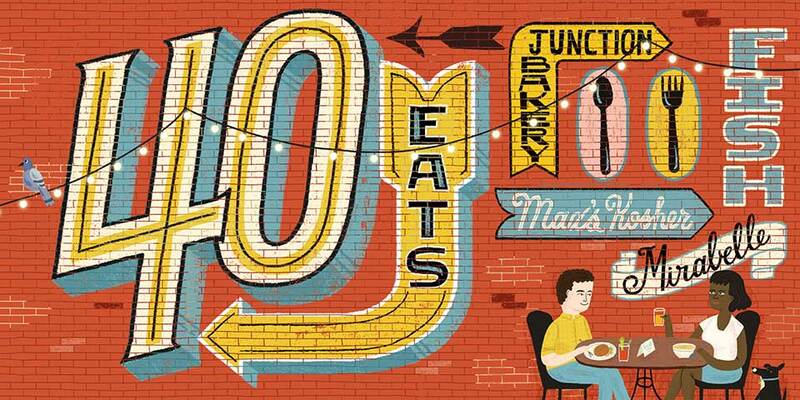 Each year, the Washington Post polls readers, industry insiders and fellow Washington Post staffers to find the area’s most essential dishes, to be featured in their annual 40 Eats issue. To land a spot on the list, each nomination has to pass a taste test. Then it is pitted against other contenders as they curate a selection that could cater to meat-eaters and vegetarians, sweets lovers and fried-food fans, suburban dwellers and urbanites without cars. MELT Gourmet Cheeseburgers is a catchy name for a restaurant and it should clue patrons in to what’s next: an array of over-the-top burgers finished with a melt of cheese. Not a chain eatery, this small and straightforward Virginia spot becomes jammed even before mealtimes. It’s no wonder, as who would not want to indulge in a well-stacked bacon-blue cheese burger piled up with glazed onions, bacon, lettuce and Gorgonzola? MELT Gourmet Cheeseburgers is a catchy name for a restaurant and it should clue patrons in to what’s next: an array of over-the-top burgers finished with a melt of cheese. While the concept may seem simple, creating such a diverse line of burger flavors — 19 in all — must have challenged the owners. Not a chain eatery, this small and rather straightforward eat-in or take-out place becomes jammed at and even before mealtimes. It’s no wonder, as who would not want to indulge in a well-stacked bacon-blue cheese burger piled up with glazed onions, bacon, lettuce and Gorgonzola? Or why not a fire-roasted green chile cheeseburger with garlic, green chiles, sharp cheddar, crispy bacon and shaved red onion? Not satisfied with beef as the foundation, the kitchen creates lamb, turkey, shrimp, crab, tuna, vegetable or bison burgers, too — even a Peking duck burger — to keep customers happy. Sides include the usual fries plus sweet potato fries with Marshmallow Fluff for dipping. Don’t miss out on the thick, icy milkshakes, so when it’s time for a dessert like one of the Chocolate Bars it’s easy to skip past them. Burgers are like opinions. Everyone thinks theirs is the best. Like any food, it all comes down to taste. 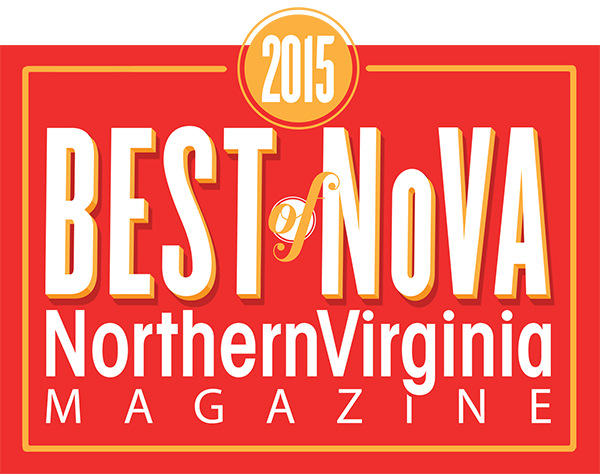 But when it comes to winning the hearts — and stomachs — of Virginia, these 16 places are ranked at the top. Even if you’re a die-hard fan of your local burger joint, or won’t eat anything you haven’t cooked on the grill yourself, these burgers are worth checking out. You’ll thank me, I promise. What to try: The Diner “Blue Plate” Special. An extra-large beef burger with applwood smoked bacon, homemade pimento cheese, lettuce, tomato, a sunny side-up fried egg and signature house sauce. Once you see the size of these burgers, you’re not going to want more than one meal, so you might as well pack all three into one stunning burger. Other perks: All of their buns are made in-house and baked fresh daily. Plus, they offer “Burger of the Month Specials” and fantastic fries. 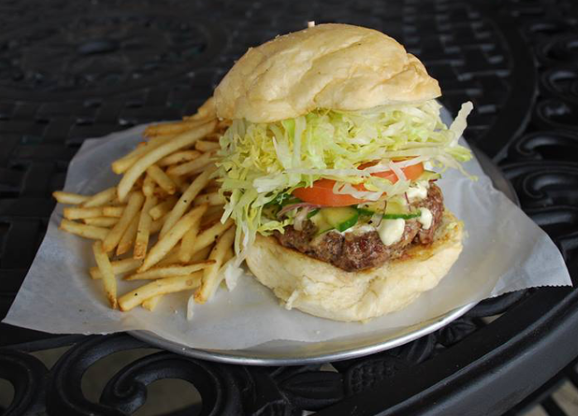 It’s clear to see why MELT has been voted “Best Burger in Loudoun” 3 years running.